Properties in Greenwood Cemetery average 4.6 out of 5 stars. Located in the heart of New Orleans. Property 1: Located in the heart of New Orleans. 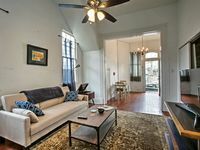 Property 7: One Bdrm Apartment, Walking Distance to Jazzfest, Close to the French Quarter! Frenchman street for awesome music and two blocks to French Quarter. Property 9: Frenchman street for awesome music and two blocks to French Quarter. We're Jazzed Youre In Town! Property 11: We're Jazzed Youre In Town! Clean and cozy apartment centrally located to everything! Property 14: Clean and cozy apartment centrally located to everything! Property 17: Garden District Apt- 2 Blocks to Mardi Gras Route! Authentic New Orleans Charm in 1860s mansion with Fantastic Location! Property 32: Authentic New Orleans Charm in 1860s mansion with Fantastic Location! Uptown NOLA 2BR Apt on Magazine St. w/ Backyard! Property 34: Uptown NOLA 2BR Apt on Magazine St. w/ Backyard! Property 36: 'FALL' INTO NOLA IN 2019!! 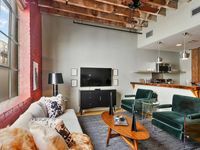 1BR/1BTH IN the QUARTER! COME TO STAY & PLAY! Truly glamours place! Excellent service, walking distance to many places, would definitely stay there again. Highly recommend!